Our elite batches are now full! What is the underdog division? The concept behind the Underdog division is to create a wildcard scenario which is unique to ISOCR, we believe that there are many people out there that can give the top athletes a run for their money over a short distance and back to back obstacles but they don’t know it yet! Underdog entry – R250.00: You will run in Round One only and you will have 2 official timed runs. If you choose to buy in you also get free entry to our next outdoor event. This entry was posted in Uncategorized on May 31, 2016 by shaunjengel. Dr. Seuss , I Can Read With My Eyes Shut! SA Taxi Foundation has partnered with iRead Africa to establish two reading corners on each floor of the Red Cross War Memorial Children’s Hospital in Cape Town. The hospital is the largest, public, stand-alone tertiary hospital dedicated entirely to child health care in southern Africa. It manages some 260 000 patient visits each year, with most of its patients coming from exceptionally poor and marginalised communities within South Africa and the rest of the continent. One third of its patients are younger than one year. No child is turned away. “We were attracted by iRead Africa’s proposal to us for this project because we believe that education is the single most powerful transformational agent,” says SA Taxi Foundation director, Kalnisha Singh. “However, education is impossible without literacy. So, inculcating in children a love of reading is profoundly important. “All the more so because, according to a recent survey by UNESCO in 2015, 40% of all children in sub-Saharan Africa under the age of 15 cannot read. These children will not be able to enter the modern workplace and the continent’s transformation will be delayed further. iRead Africa, a non-governmental organisation (NGO), offers a number of options for children to access literary resources, including helping government with the establishment of school libraries and creating reading corners in crèches and community centres in underserviced areas. The launch of the reading corners at the Red Cross War Memorial Children’s Hospital on Friday 27th May 2016 included readings to children by TLB Kruger from his first book in a Mindfulness series, ‘Prince of Gold’. This entry was posted in Uncategorized on May 30, 2016 by shaunjengel. After a successful first outdoor obstacle event at Hillcrest Quarry that still has my muscles cringing just thinking about it…(just kidding), The team at The Grind brings us something unique and exciting. 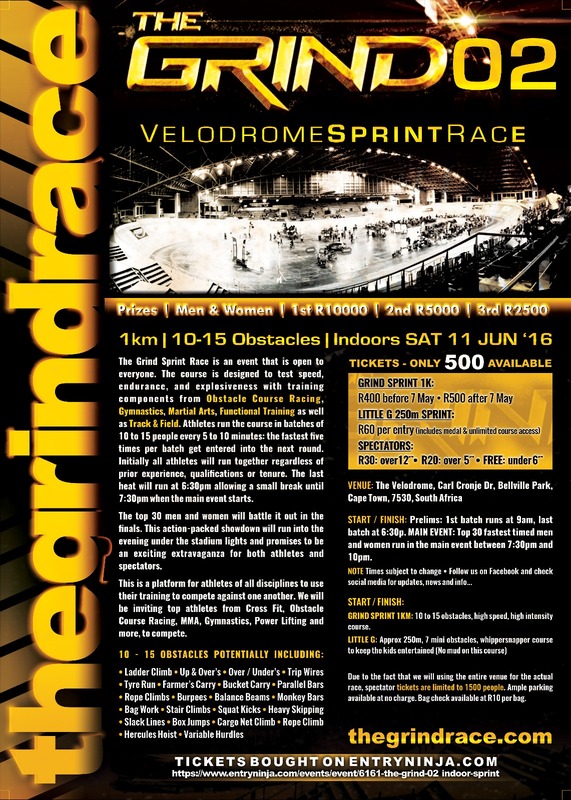 THE GRIND02: Veldorome Sprint Race will test your need for speed as well as your strength and agility in a 1km timed course with +- 10 – 15 obstacles. Expect the unexpected from Ladder Climbs, Tyre Run, Monkey Bars to the Hercules Hoist and everyone’s favourite Burpees. The event will consist of timed laps where athletes from various disciplines are invited to participate, the 30 best times will go into the finals at the end where a WHOPPING R10 000 is up for grabs. Yip I’m sure that got your attention and made you want to jump off the couch to do some Up and Over’s, come on a little Balance Beam is not that hard if winning R10 000 is on the cards to balance those books right!! Bring the family and friends for support for this is sure to be an awesome day of high speed intense action…..ask yourself do you have THE NEED FOR SPEED. This entry was posted in Uncategorized on May 24, 2016 by shaunjengel. As the days get shorter and the nights longer….not to mention colder – the Maitland Moravian Youth has something to keep you entertained, active and sure to keep those winter blues away. 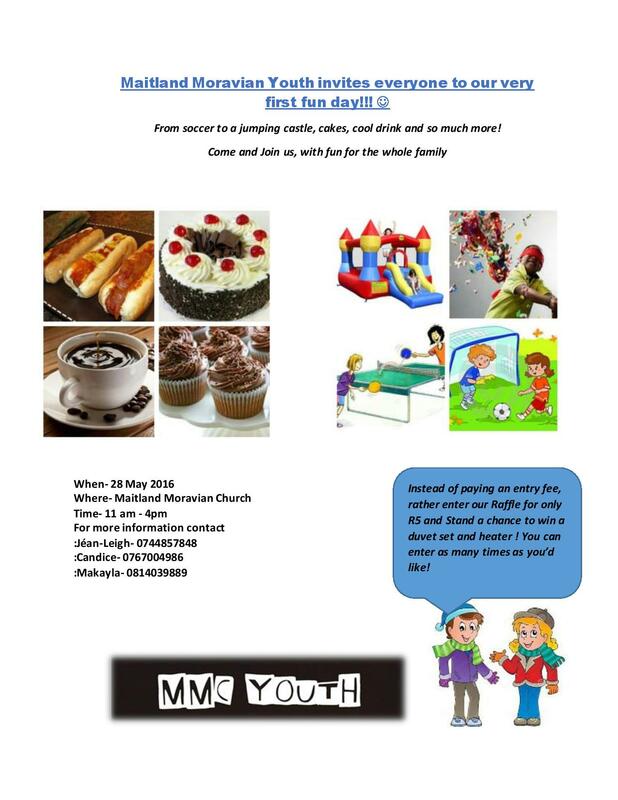 Come and enjoy a fun-filled day of various activities, from soccer to a jumping castle and for those foodies their will be yummy cakes, cooldrinks and hotdogs and more on sale. Entry is FREE but we have an awesome raffle for only R5, you’ll put yourself in the draw to win a duvet set and heater. (I TOLD YOU WE GOT YOU COVERED THIS WINTER 🙂 ). 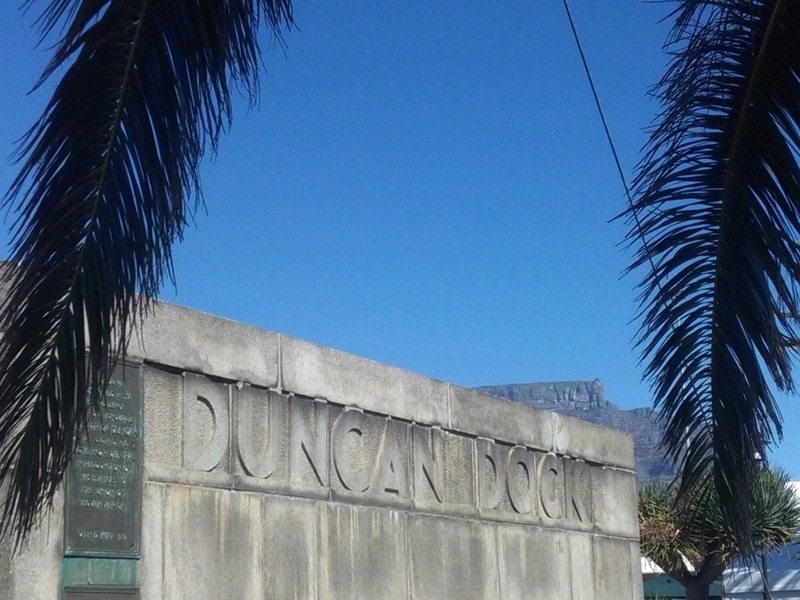 Where: Maitland Moravian Church, Royal Road, Maitland, Cape Town. Bring the whole family and friends and come and enjoy this day with us…..we thank you in advance for your support. This entry was posted in Uncategorized on May 23, 2016 by shaunjengel. The 15th of May every year we celebrate International Day of Families and it just so happened that yesterday was Pentecost in which we equally celebrate the decent of the Holy Spirit of Christ on his disciples….his family that is US on earth. 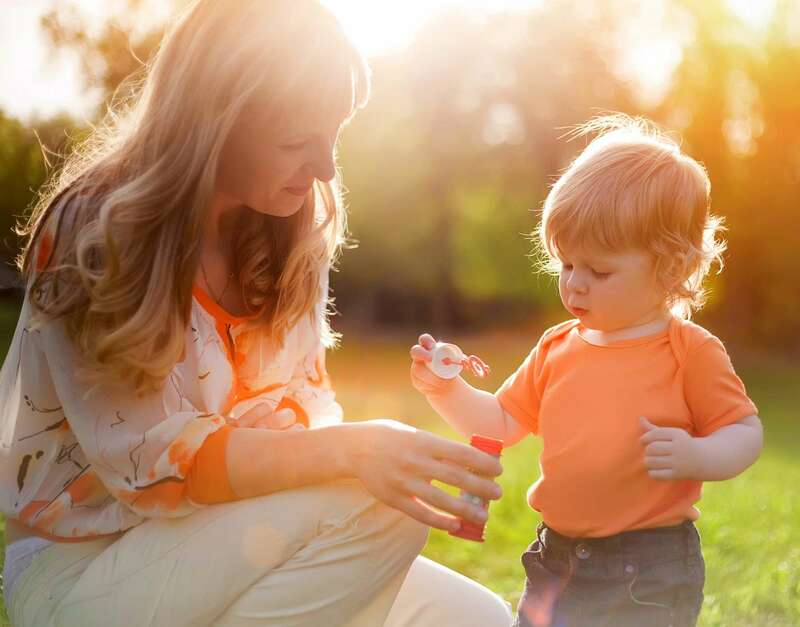 The theme for 2016 is Families, Healthy Lives and Sustainable Future. We live in a cruel world where families live isolated lives even though they in the same house, we are sometimes lost in translation. The International Day provides an opportunity to promote awareness of issues relating to families and to increase knowledge of the social, economic and demographic processes affecting families. Communication is a key factor in achieving set goals regarding families and a positive outlook in trying times. Why I mentioned Pentecost is for the simple fact that we a living beings and when filled with the Holy Spirit we are called to ACTION. Starting within our own households, if we love our family we are able to share the love with others. Families remain at the centre of social life ensuring the well-being of their members, educating and socializing children and youth and caring for young and old. If we all work together we can achieve greatness….WE CAN CHANGE THE WORLD because WE ARE FAMILY. This entry was posted in Uncategorized on May 16, 2016 by shaunjengel. A mother, an indescribable being full of love and wonder, put on this earth to protect her young. While I was sitting in church this morning I heard a poem and thought it worthy to share with the WORLD because my mom is…. He knew a mother would have a special place to shine His reflection on her child’s face. A mother will walk the extra mile just to see her children smile. She’ll be there through your pain and strife, she’ll stay constant in your life. when you need a friend she’ll stick around. A mother is one who listens well, will keep her word; will never tell. all this and more to me. You share a love that knows no end, you’re more than my mother, you are my friend. HAVE A BLESSED MOTHERS DAY ALL YOU BEAUTIFUL MOTHERS. This entry was posted in Uncategorized on May 8, 2016 by shaunjengel. Transnet National Port Authority (TNPA) is one of five operating divisions of Transnet SOC Ltd. TNPA is responsible for the safe, effective and efficient economic functioning of the national port system, which it manages in a landlord capacity. 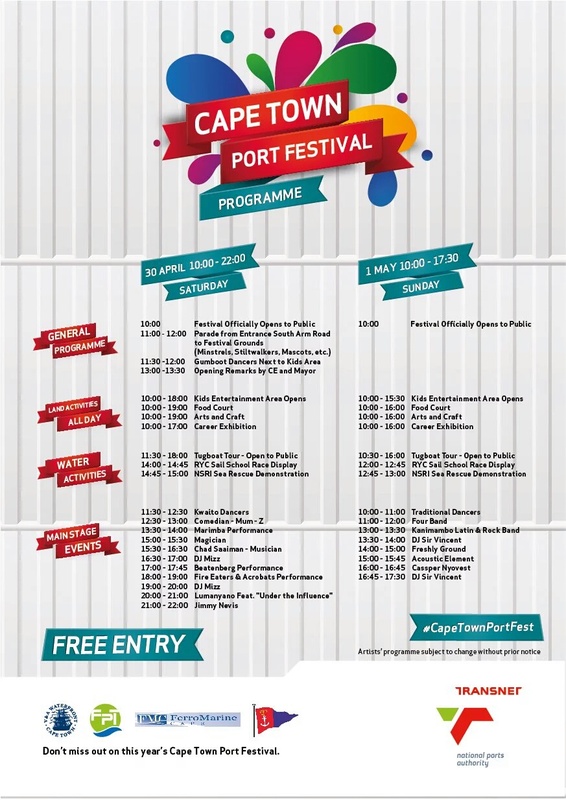 This past weekend saw the Port Of Cape Town turn into a hub of festivities, an intimate festival where families could enjoy time together at the picnic area. The weekend weather played along nicely to allow for a perfect platform for festival goers to enjoy the variety of activities planned by the organisers. Not only was the festival about enjoying a day out with the family but it was also an opportunity for young leaders of tomorrow to gain more knowledge about this industry and make informative decisions. 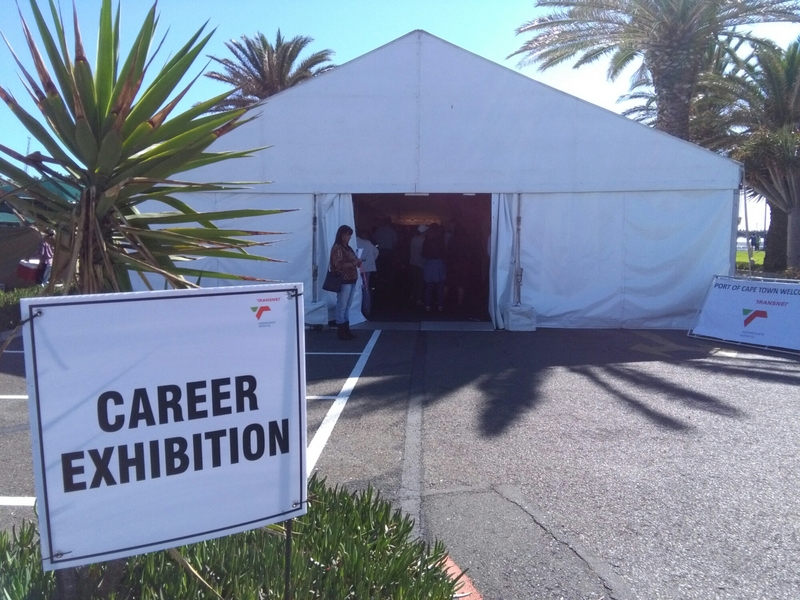 The career exhibition tent was filled with information from The City Of Cape Town, SA Navy, Transnet and many more… I even learnt something new about these bouys. 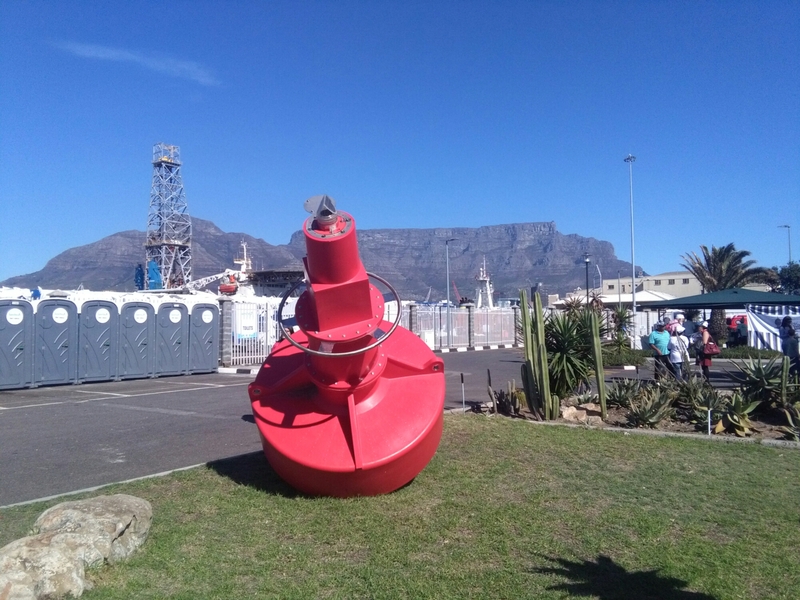 Bouys: These are floats that warn of hazards such as rocks or shallow ground, to help ships manoeuvre through unfamiliar harbours. Portside bouys are red, while starboard side bouys are green. 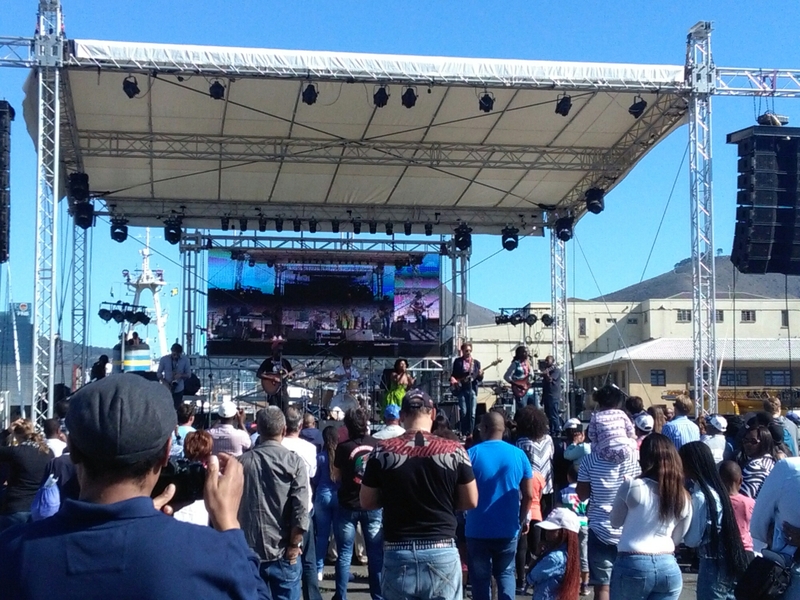 For many though the main attraction was to see the live acts from Beatenberg, Jimmy Nevis, Casper Nyovest and FreshlyGround to name but a few. These are some of SA biggest talents and even got our Mayor Patricia de Lille and Shaleen Surtie Richards jiving, yip yip ons sien vir julle and we love it. An educative festival with lots of entertainment to keep everyone happy. This entry was posted in Uncategorized on May 1, 2016 by shaunjengel.